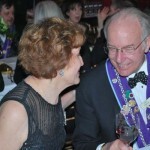 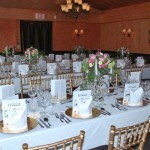 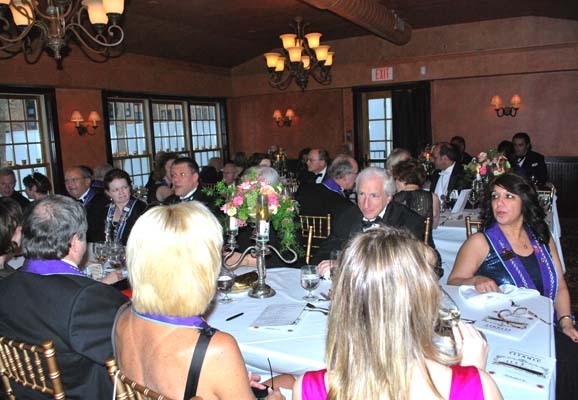 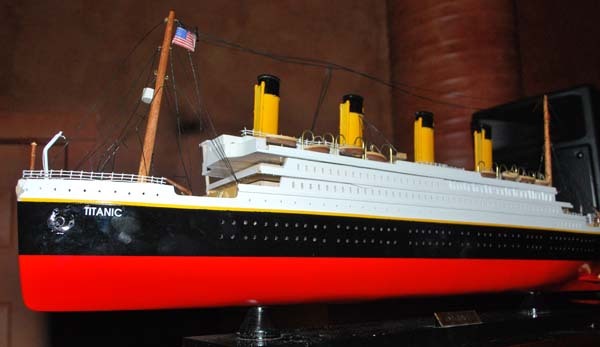 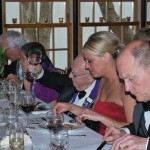 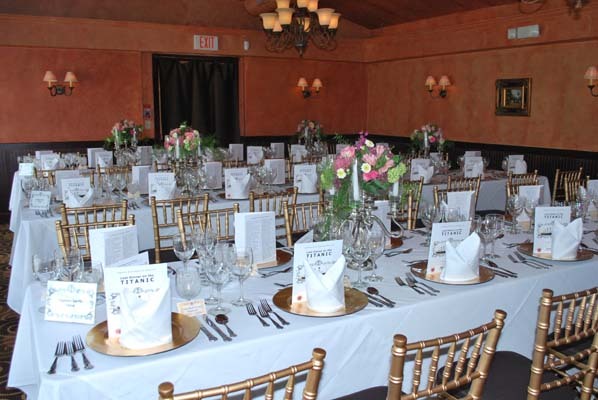 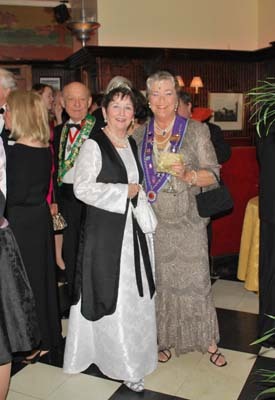 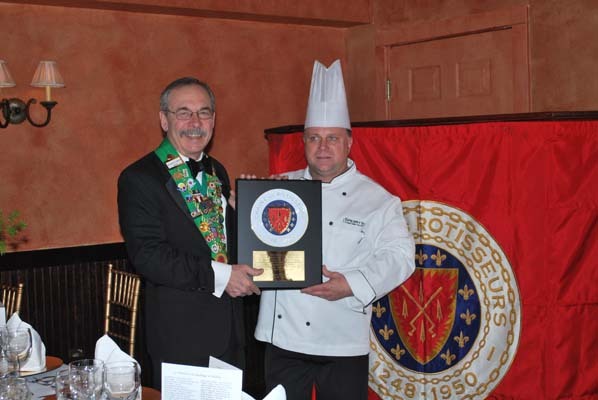 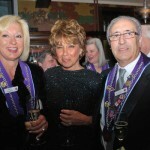 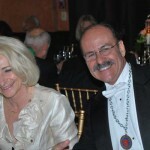 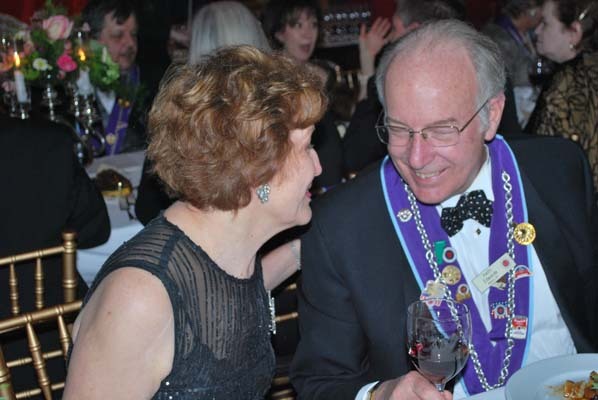 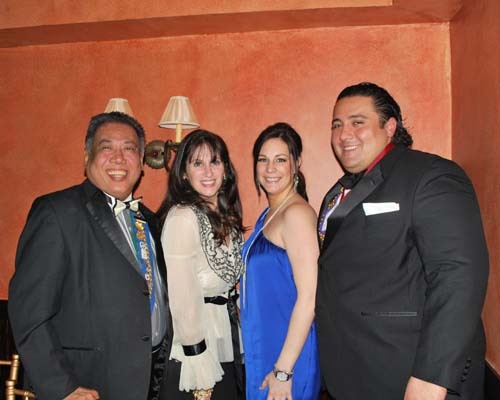 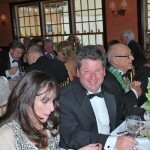 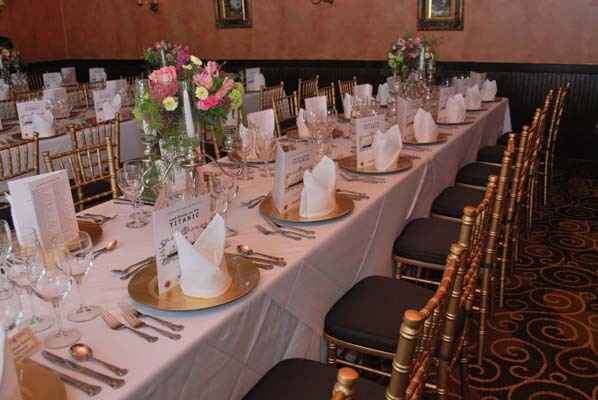 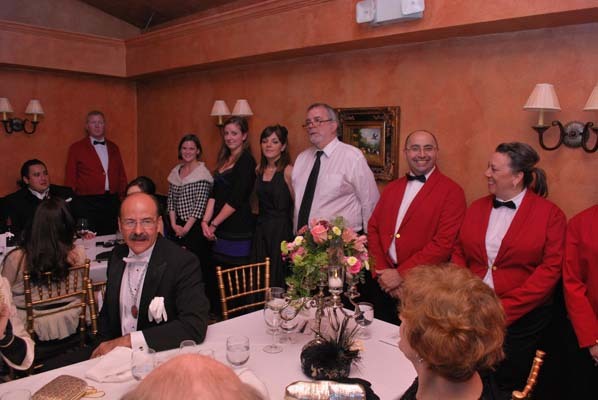 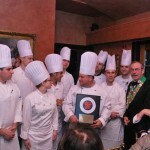 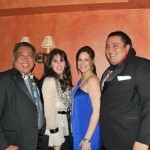 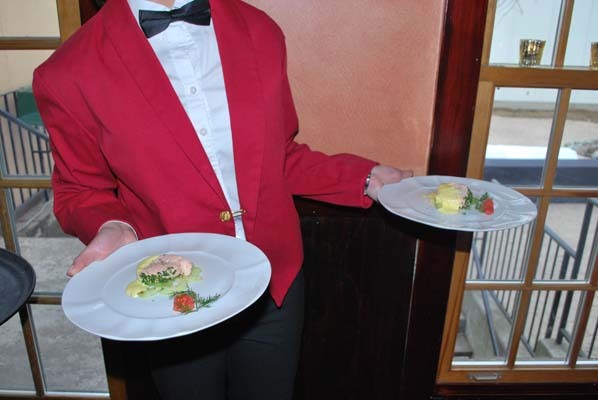 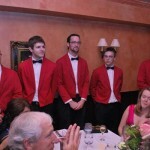 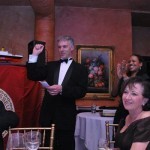 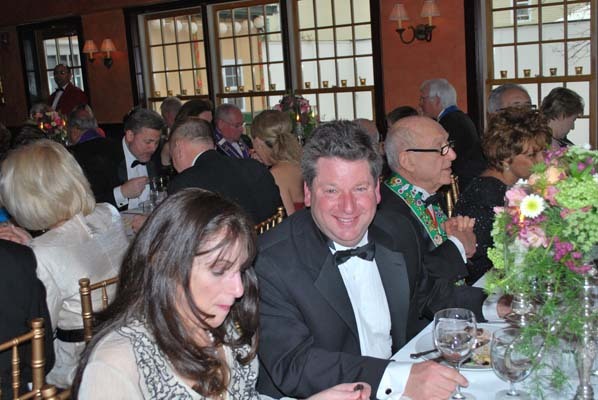 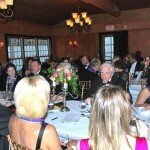 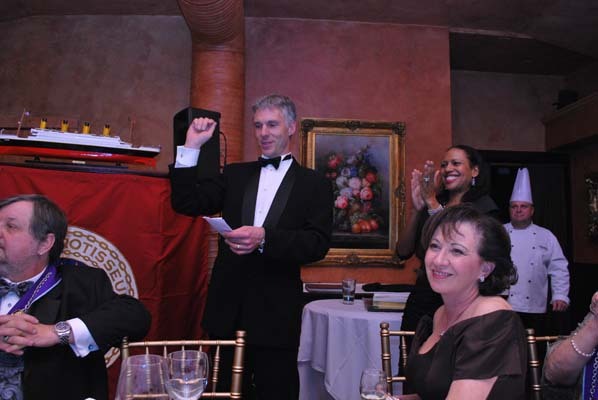 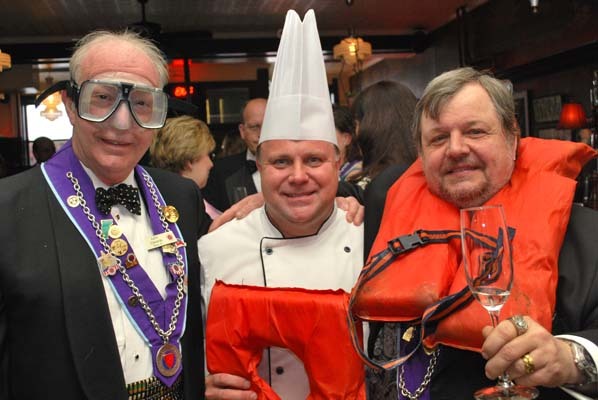 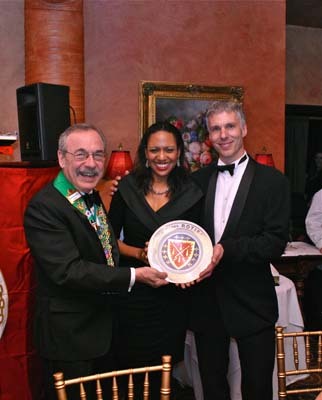 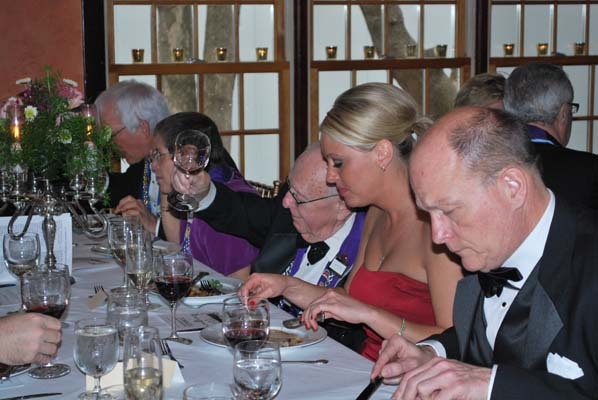 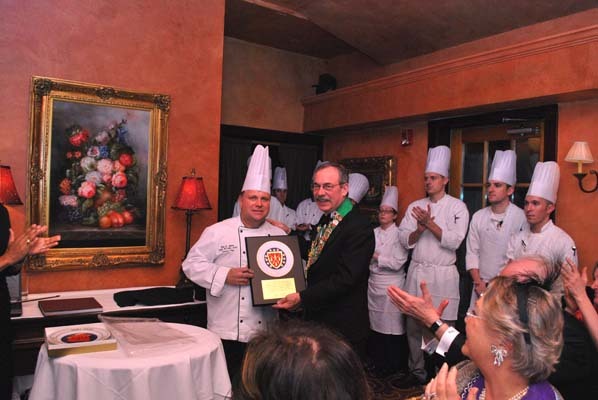 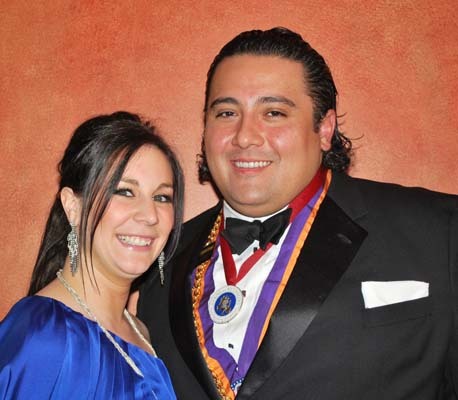 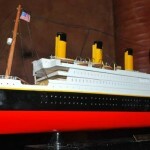 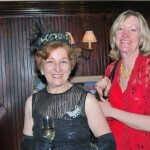 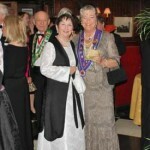 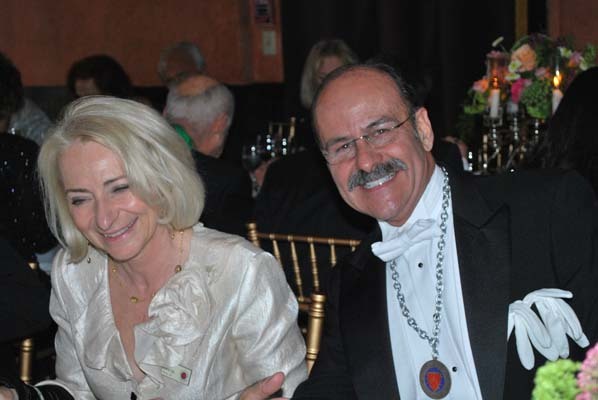 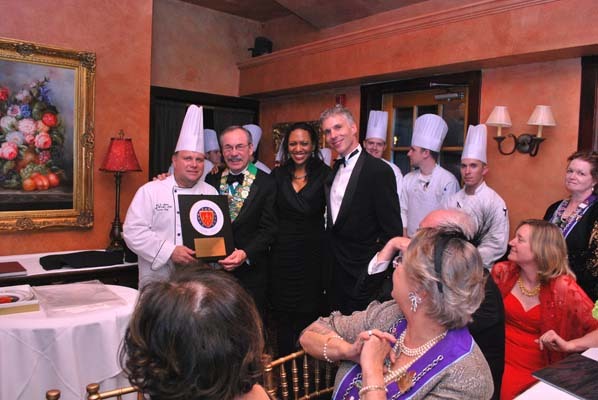 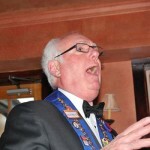 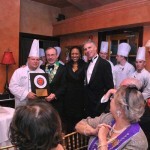 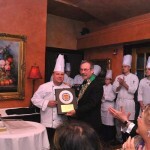 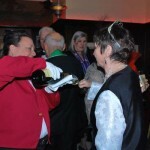 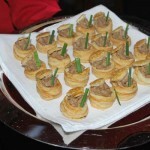 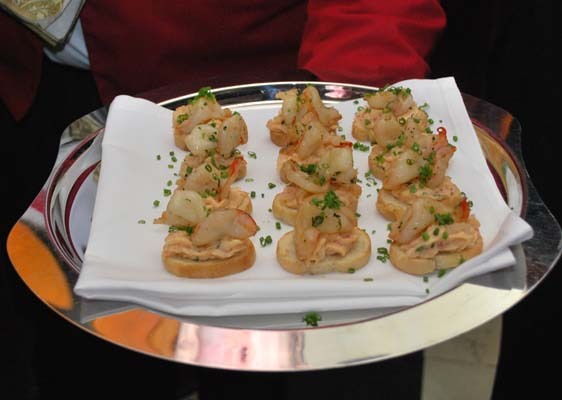 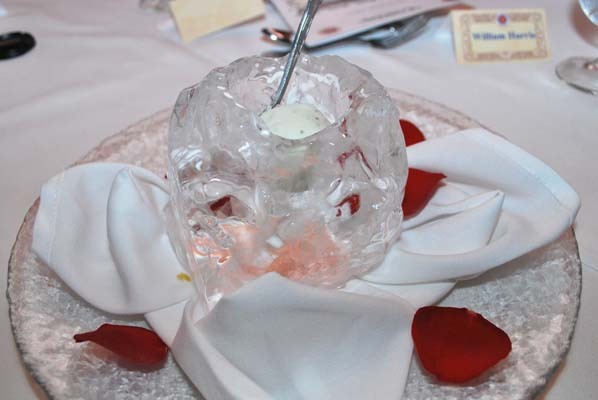 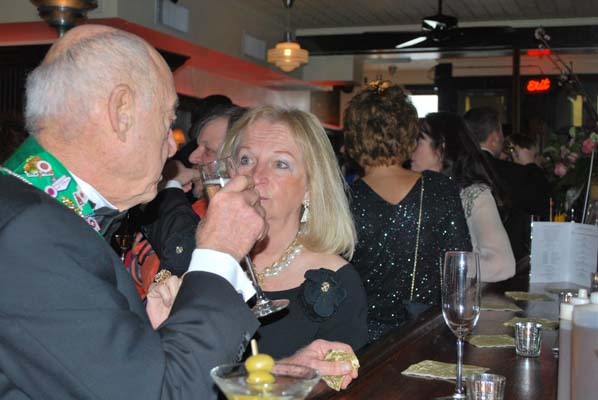 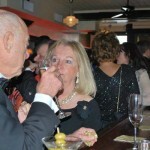 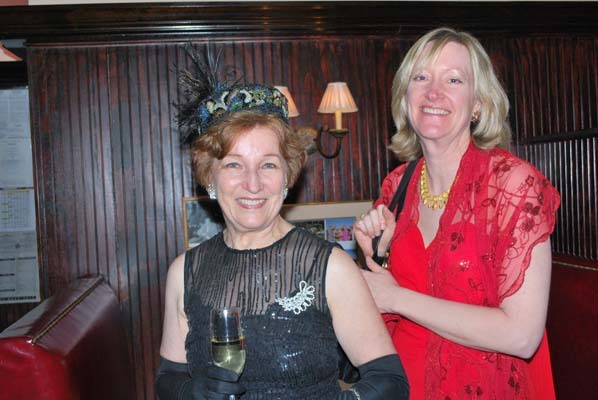 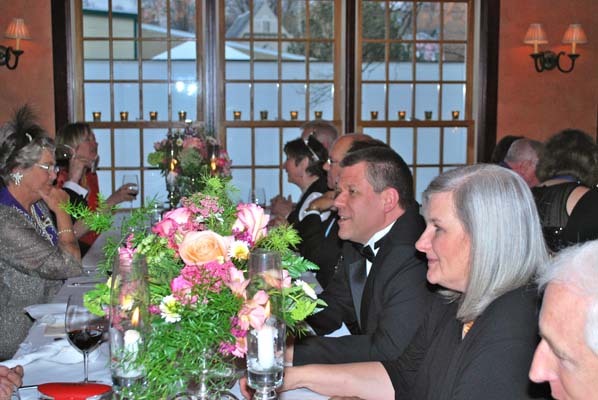 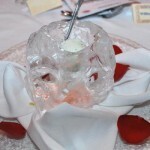 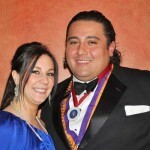 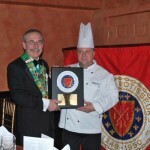 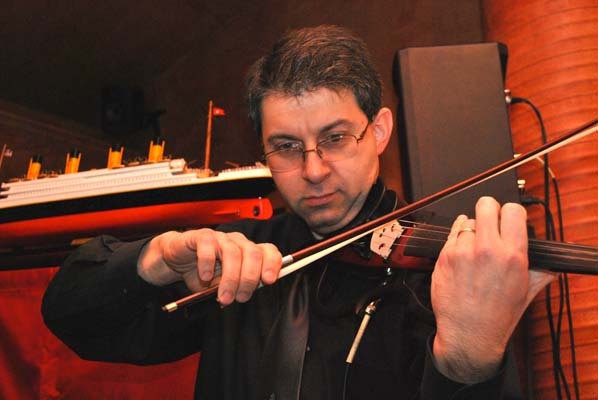 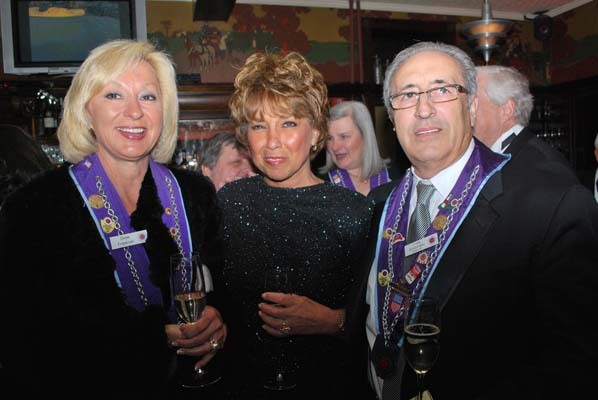 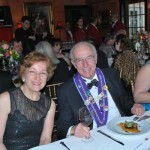 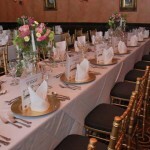 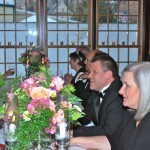 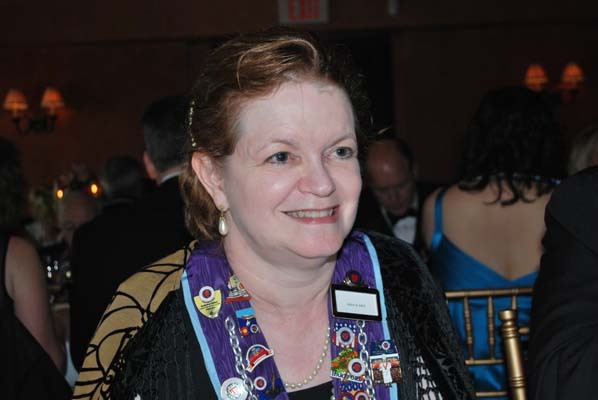 To commemorate the 100th anniversary of the Titanic disaster, Certified Master Chef and Chaine Officier Dale Miller welcomed 48 members and guests to Sperry’s Restaurant in Saratoga Springs on March 25, 2012. 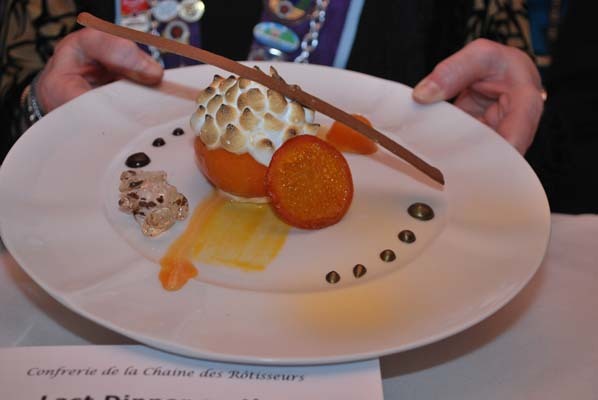 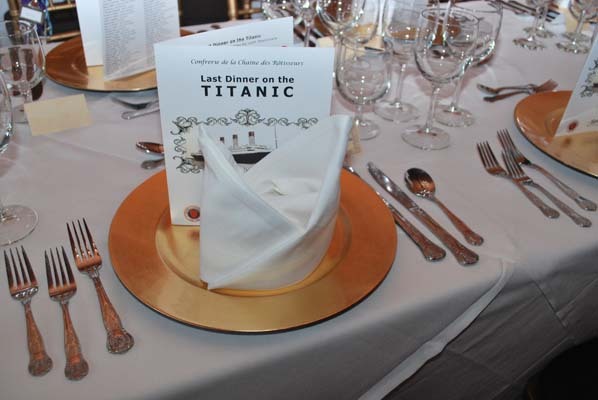 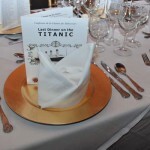 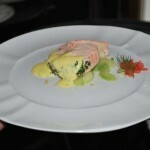 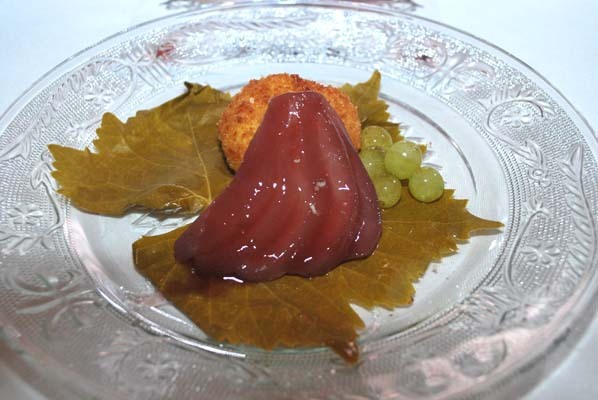 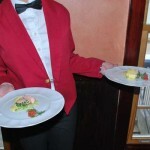 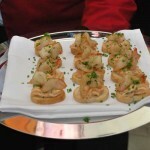 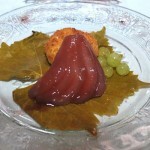 The menu was a recreation of the last dinner served in first class on that tragic voyage. 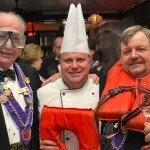 Hedging their bets, some members arrived wearing life jackets and dive masks which proved to be unnecessary as the entire evening was nothing but smooth sailing! 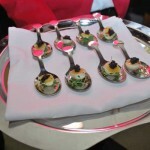 The theme was classicism and restraint; food for its own sake. 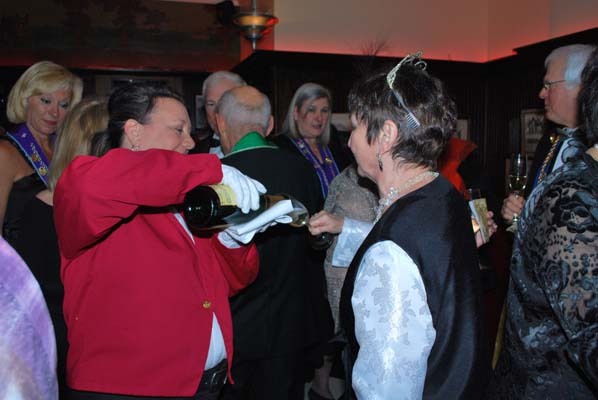 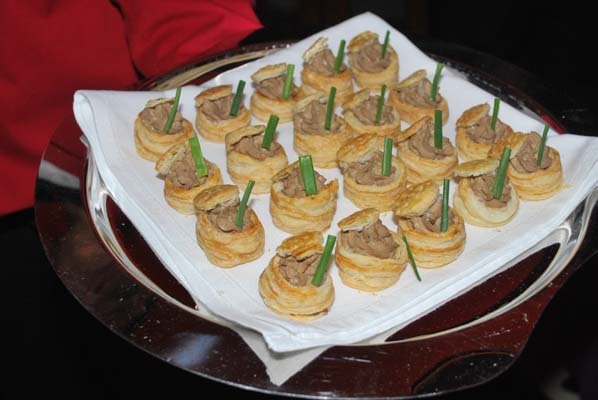 The champagne reception featured a tantalizing array of delicacies which guests savored while admiring the period attire of the more creative amongst us. 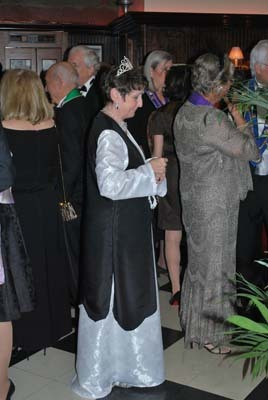 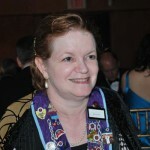 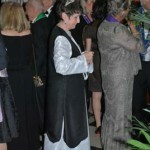 One enterprising attendee handcrafted her own ensemble after extensive research. 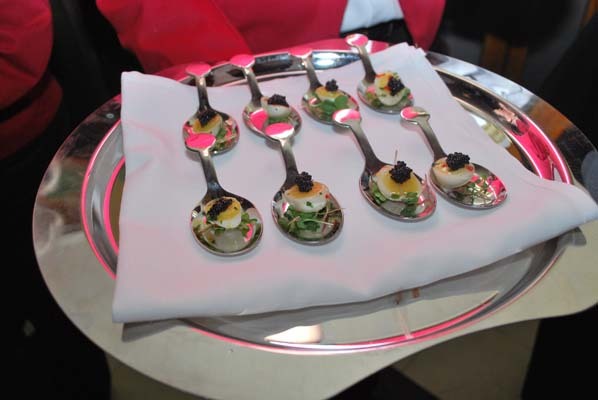 Oysters a la Russe, melted foie gras on triple raisin toast and quail eggs in aspic with caviar added to our sense of being there on that historic night. 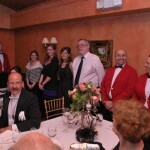 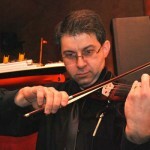 A strolling violinist entertained us as we enjoyed seven of the twelve courses from that final menu. 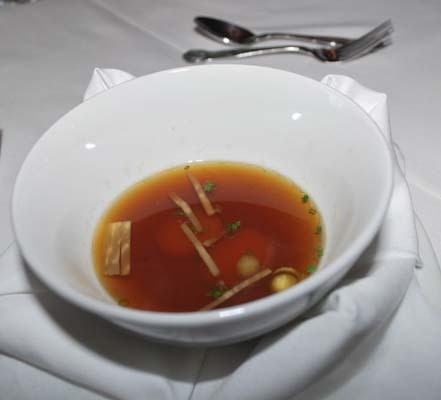 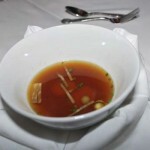 Consommé Olga was served with Guy Saget “Marie de Beauregard”, Vouvray 2009 which brought out the sweetness of the scallops with its aromatic richness. 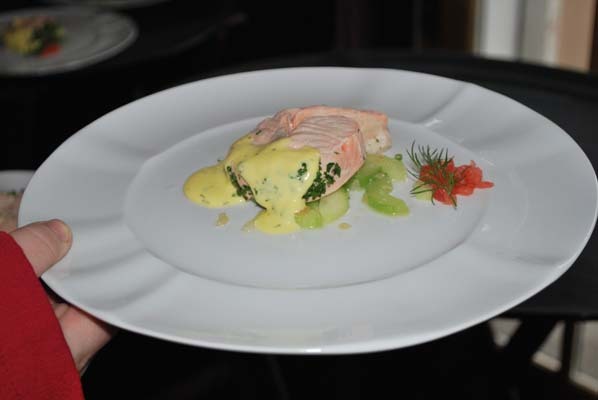 Next a poached mousselines de saumon with hollandaise was paired with a rich and creamy Joseph Drouhin, Puligny-Montrachet 2008. 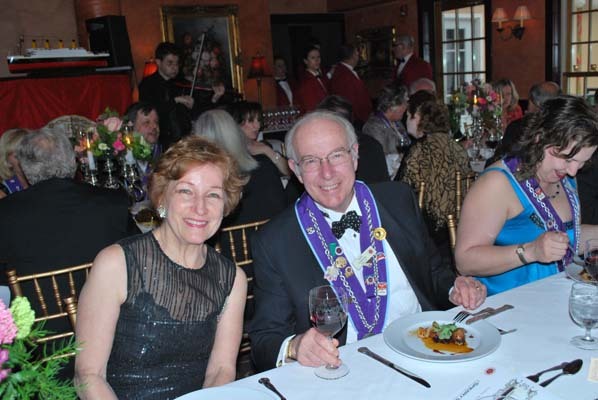 The delectable quail with sour cherries, accompanied by Joseph Drouhin, hambolle-Musigny, 2009, led more than one guest to proclaim this dinner as one of the best Chaine events ever, characterized by subtle flavors and wine pairings that were on point. 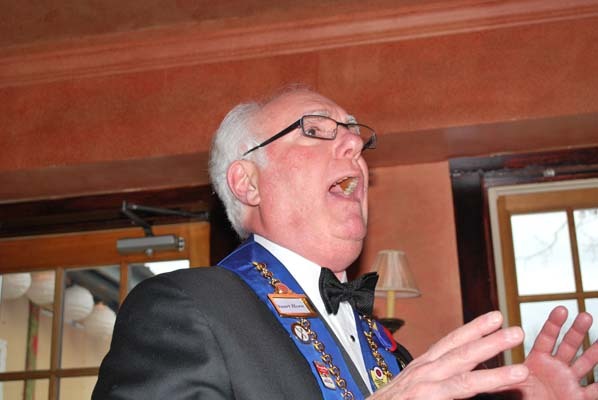 In fact, the typical response after the first taste was “Wow”! 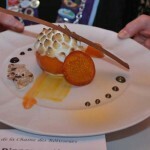 showcasing the orange in its many delightful forms, punctuated this extraordinary homage to the past. 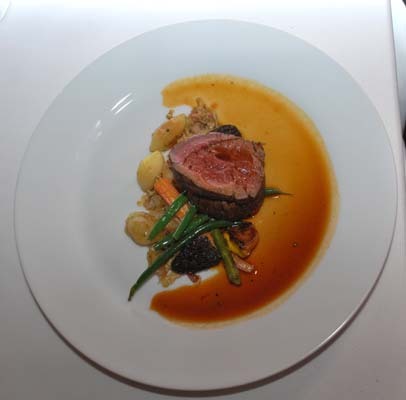 If “last dinner” is a metaphor for seizing the moment, then Chef Dale Miller did just that and graced us with a sumptuous repast we won’t soon forget! 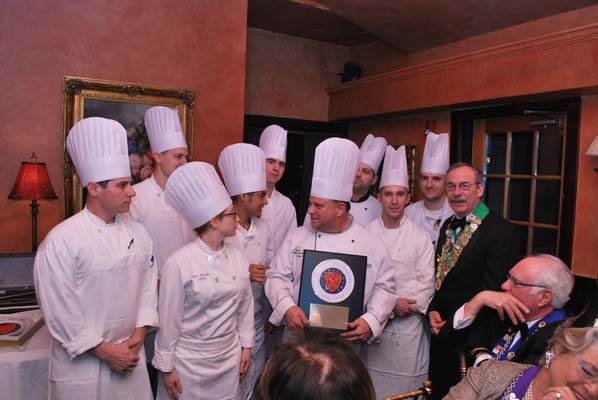 Congratulations to Dale, proprietors Christel and Colin MacLean, Executive Sous Chefs Michael Hinrichs, Chris Dore and Michael Spain, Pastry Chef Jennifer Mantica and the superb wait staff at Sperry’s!